ENTEKHABAT 93: 74 Days to The Elections January 20, 2014 | . :: Elections 2014 ::. Host Sadaf Amiri discusses the Independent Election Commission (IEC) supervision on Election Campaign Expenditure Limits. 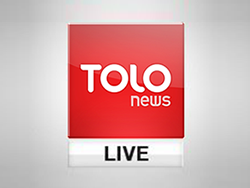 In this episode, Sima Joyenda MP, Qurban Kohistani MP and Ghor provincial governor Sayed Anwar Rahmati discuss the current state of the central Ghor province.